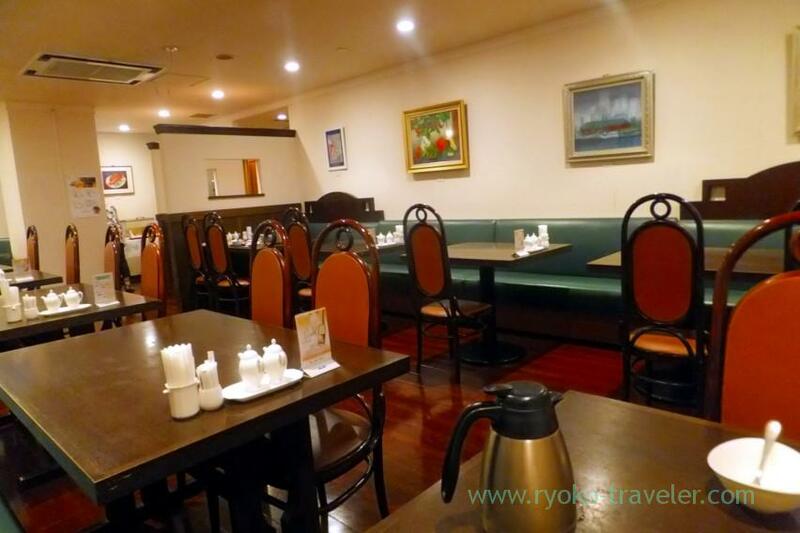 Small hotel at the back of Komachi street. 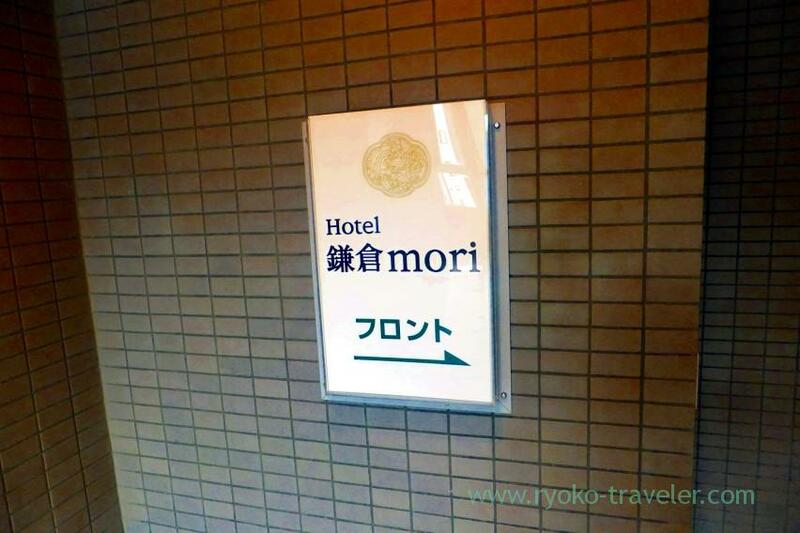 When we visited Kamakura, we stayed at this hotel. 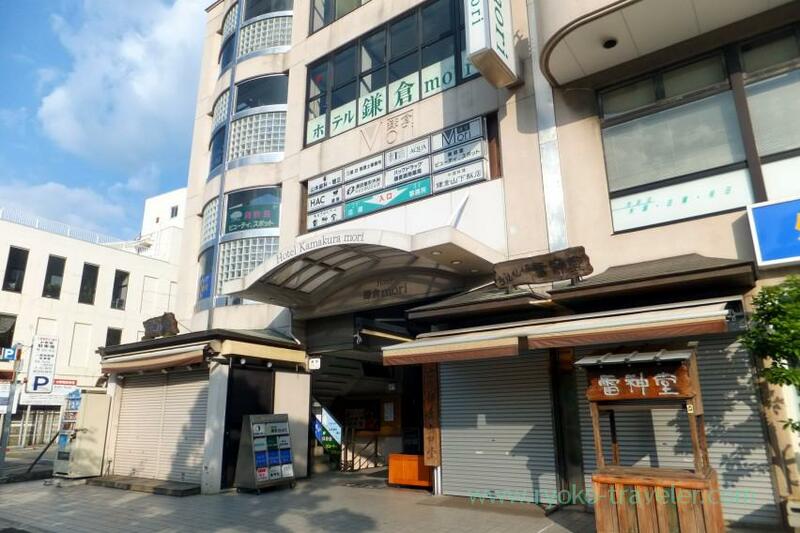 It’s close to Kamakura station. The hotel is on the third floor of this building. A souvenir shop in on the ground floor. 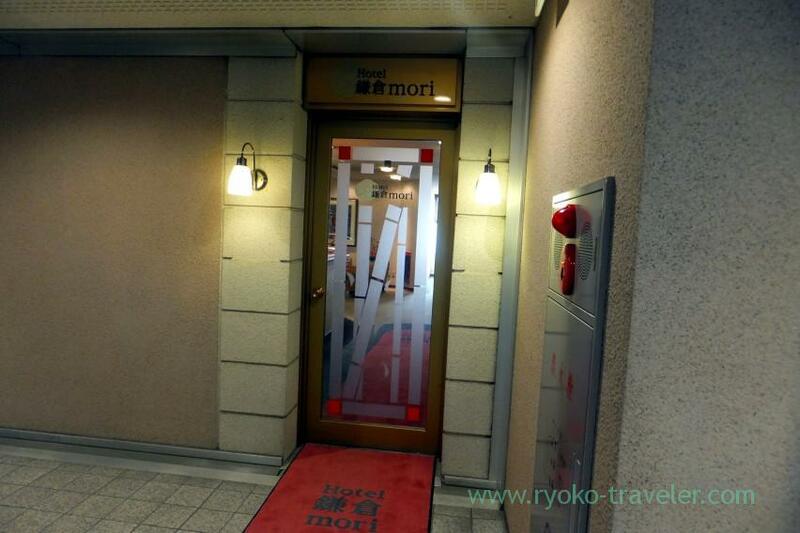 This is the entrance of the hotel. It isn’t a large hotel. This hotel’s floor is only 3rd and 4th floor. On opening the door, the front desk welcomed us. Our room was in front of the front desk. Our room was enough large. 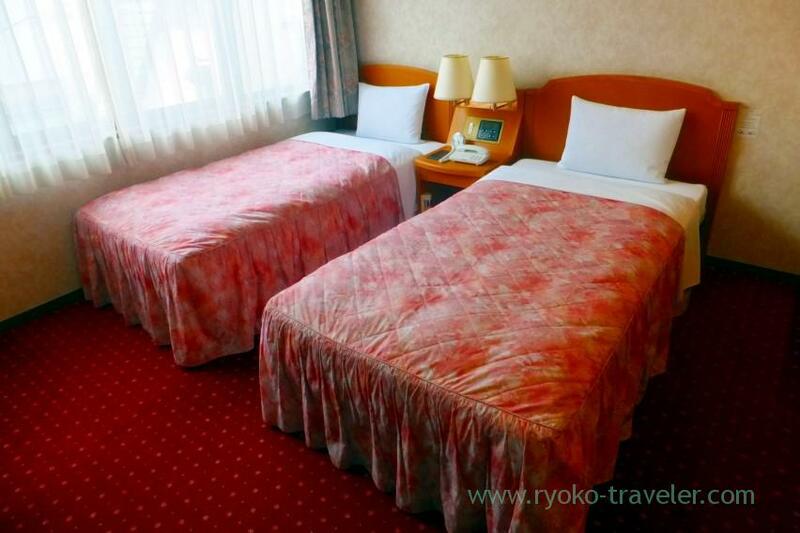 TV, refrigerater, free wifi, air-conditioner… our room had everything that we needed. But the view out of the window wasn’t good because there’s a factory in front of our room. 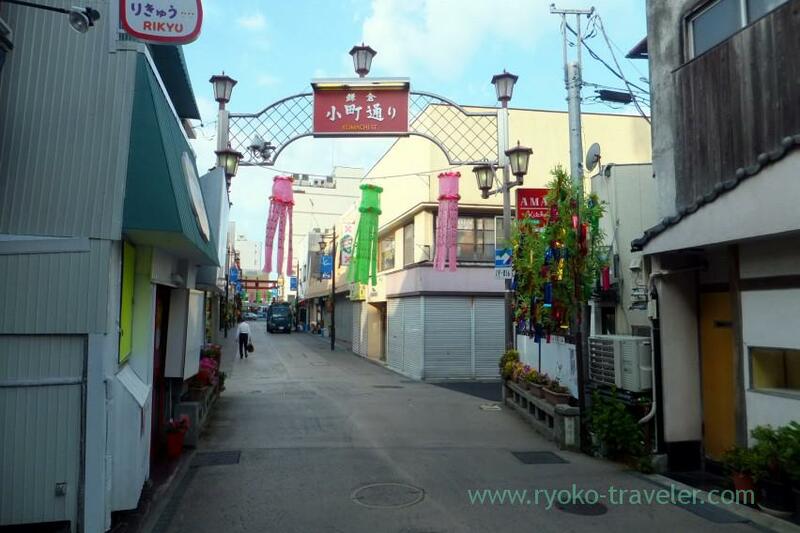 Komachi street is at the back of the hotel and Tsurugaoka Hachimangu shrine is close to this hotel. This photo was taken early in the morning. It was still calm. But this street was packed with people in the noon. 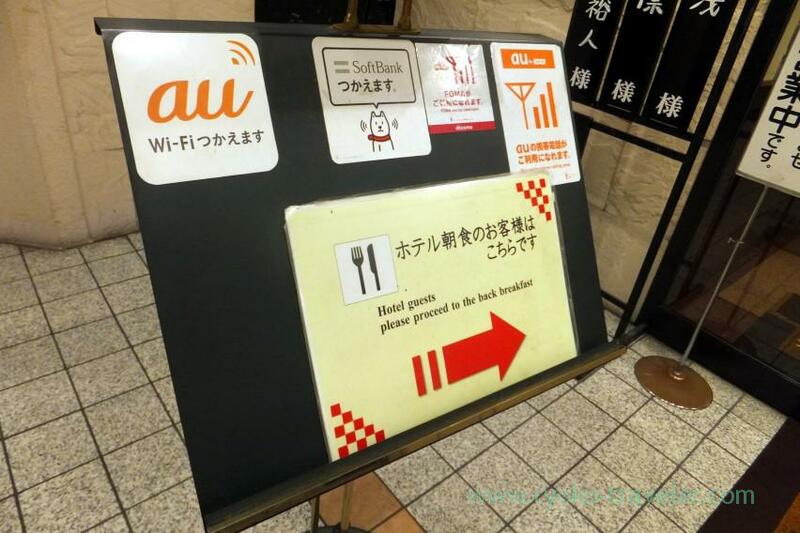 Breakfast was served on the underground of the building. 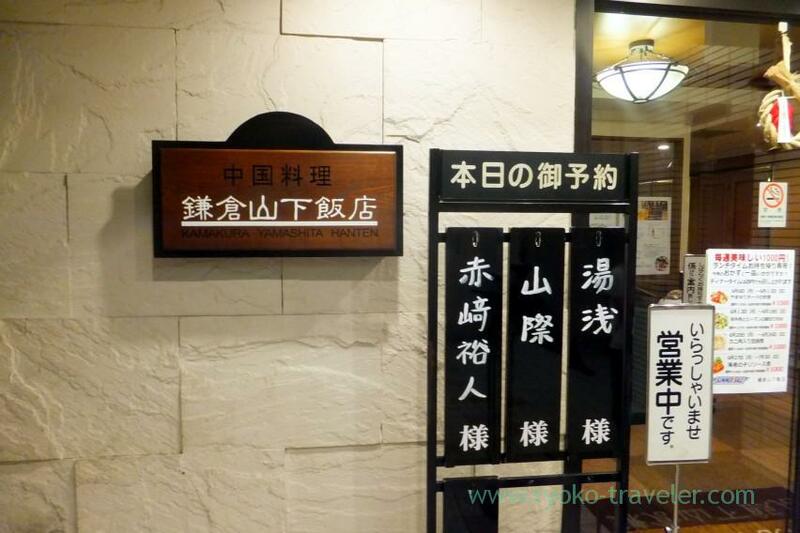 It is Chinese foods restaurant named Kamakura Yamashita Hanten. 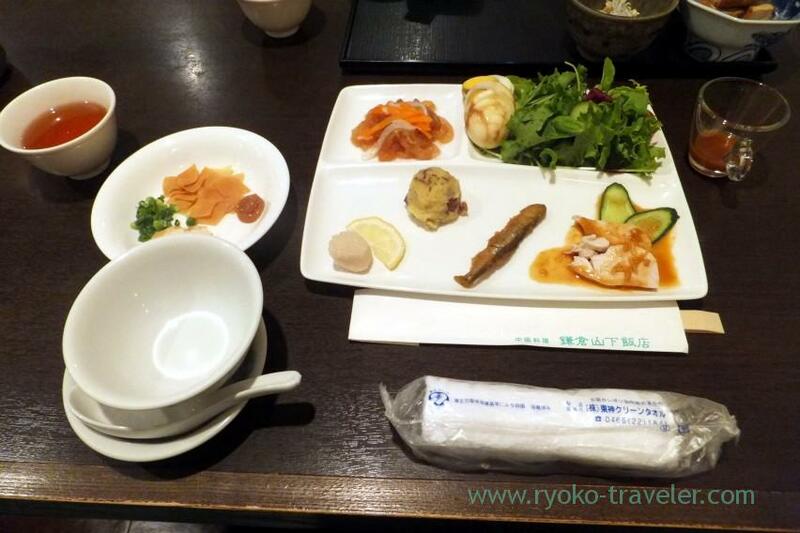 We can choose from Chinese breakfast and Japanese breakfast. I chose Chinese breakfast because it is said that they serve good Chinese porridge. This is my Chinese breakfast. Though I forgot to take the photo of the porridge, it is ingredients for the porridge. 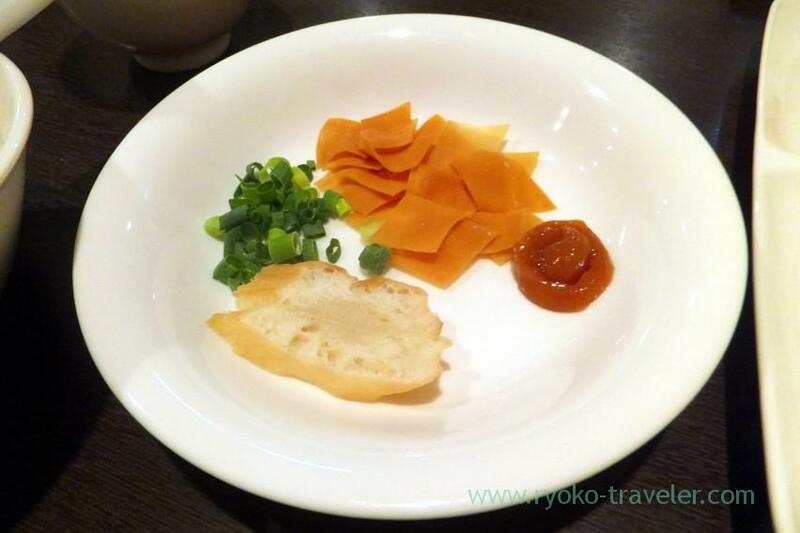 Dried green onion, dried papaya, dried plum and bread. The porridge was good, but those ingredients were not my tastes. 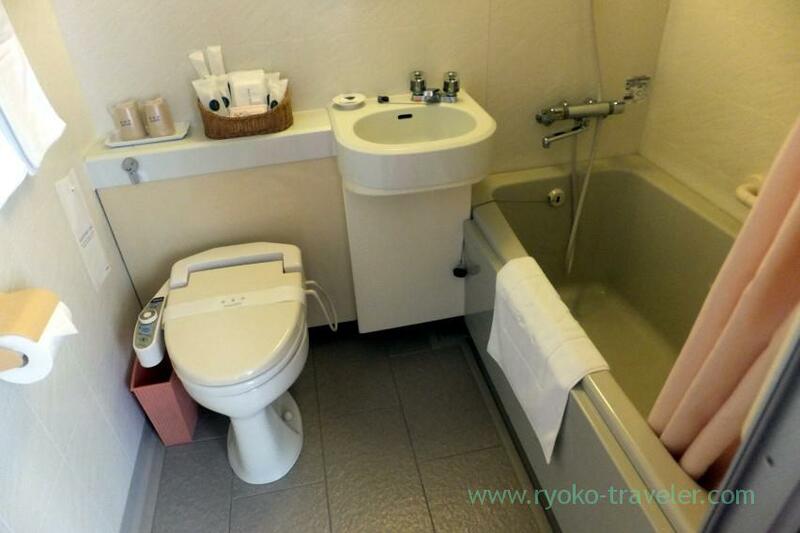 But we were satisfied with this hotel in that its location, price and facilities.